The Really Good Fudge Company | …it's Really Good!!! Welcome to the home of Really Good Fudge! I’ve been making fudge for over 30 years using a family recipe developed by three generations. 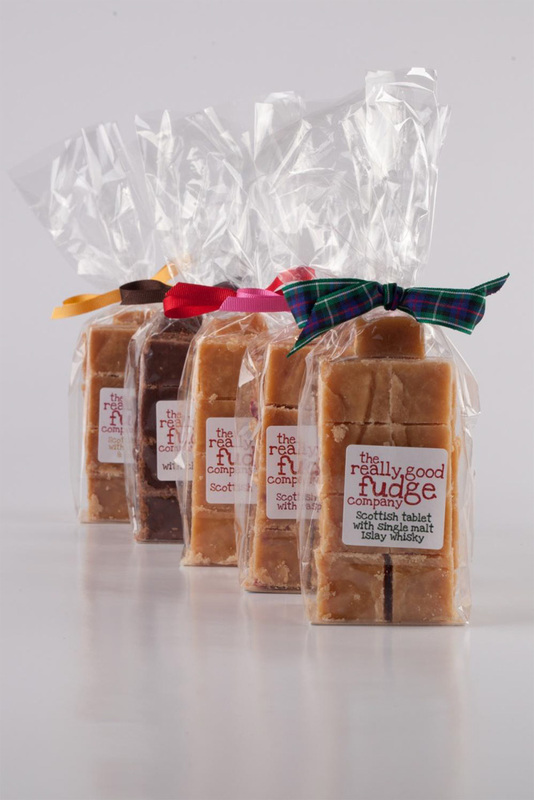 Since 2010 The Really Good Fudge Company has been trading at Farmers’ Markets around Edinburgh and Fife, supplying shops around Scotland and providing beautiful, unique favours for weddings and corporate events across the UK. We produce 5 flavours; Traditional Scottish Tablet, Cinnamon & Nutmeg, Raspberry, Chocolate and Single Malt Islay Whisky. In 2013 we were delighted to be awarded a Great Taste Gold Star for our Scottish Tablet with Single Malt Islay Whisky. You’re welcome to have a look round our site. If you have a shop and are interested in stocking Really Good Fudge, please contact me for product information. Or if you are planning your wedding, or another event, please do get in touch and let’s see how we can work together to create a simply stunning favour for your special day.